TOKYO -- Nissan Motor Co. said it is establishing a new global headquarters for its Infiniti luxury brand in Hong Kong, in a nod to the surging sales it expects from China. Infiniti, which is not sold as a separate brand in Japan, is currently run out of Nissan's worldwide office in Yokohama, Japan. Cleaving off some operations is also expected to help establish the brand as a separate, upscale entity from the mass-market Nissan products. The brand's Hong Kong headquarters will open in April and have a staff of about 100. It will handle global marketing, sales, communications and other corporate functions for Infiniti. 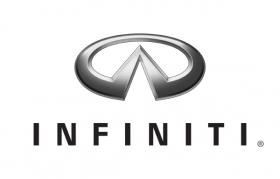 Infiniti engineering and manufacturing will stay in their current facilities, mostly in Japan, said Executive Vice President Andy Palmer, head of Nissan's global Infiniti business on Tuesday. Under Nissan's current six-year business plan, Infiniti aims to boost global sales to 500,000 units a year by 2016. Growing demand in China is expected to fuel that increase. "Today, we are very, very strong in the United States, and of course we need to make ourselves even stronger, but the major growth is going to be coming from Europe, Southeast Asia and China," Palmer said in a Nissan-produced online video announcing the decision. The move will also give Infiniti breathing room away from its Nissan cousin. Said Palmer: "Moving the global team a little bit away from Nissan -- Nissan as a brand -- and giving it a little bit of oxygen to grow as a brand, to show clear separation and to become a brand in its own right, has been one of the factors in making the decision."